Another country has been added to Mintos! This time it’s the Republic of Macedonia, with TIGO Finance launching on Mintos. With this addition, you now have the chance to invest in its consumer loans from Macedonia and earn net returns of up to 10%. TIGO Finance is a financial company that applies innovative and modern technology to offer quick and easy micro-financing solutions to individuals. The company is fully licenced and operates in accordance with the Macedonian Law on Financial Companies since December 2017 when the first loans were issued. Although TIGO’s focus is online lending, the company has opened five branches in Macedonia, located strategically in key demographic areas. The firm plans to open further branches in the next quarter so it is more accessible to its clients. On Mintos, TIGO is planning to offer its short-term and personal instalment loans for investment. Macedonia-issued short-term loans from the company range from EUR 35 to 325 with a maturity of up to 30 days. The company’s instalment loans have a maturity of up to 24 months and the loan amounts are up to EUR 1 000. “TIGO finance is pleased to join the Mintos marketplace, a unique place where the movement of capital is free and efficient. Given our advanced IT infrastructure, which allows us to obtain maximum efficiency and customer focus in operations, our partnership with Mintos will strengthen our position in the Macedonian market. This will help us to get one step closer to our goal of becoming the most well-known brand in the micro-financing industry,” says Filip Dimitrovski, Country manager of TIGO Finance in the Republic of Macedonia. From January 2018 up until the end of August 2018, the total amount of issued loans by TIGO Finance has reached EUR 1.43 million, with First Payment Default (FPD) levels lower than 10% over the same period. At the end of August, the company’s net loan book amounted to EUR 600 000. The company is continuously looking for opportunities to innovate and increase its ability to satisfy its customers’ needs and expectations. TIGO Finance’s target market largely consists of clients who often have limited access to banking services. Borrowers can receive a loan in minutes, as the company applies an automated and flexible system to check its customers’ creditworthiness. This results in a credit pre-approval in only 30 seconds. This makes TIGO loans the fastest on the market. 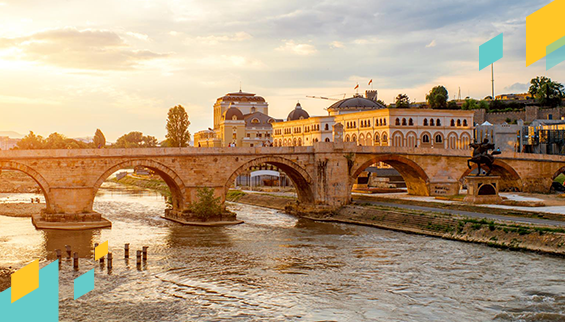 Enjoy this great opportunity to invest in Macedonia-issued loans from TIGO Finance! If you use Auto Invest, don’t forget to update your settings!